External Affairs Minister Sushma Swaraj and HRD minister Prakash Javadekar released the compact handy book "Exam Warriors" - a book written by Prime Minister Narendra Modi - on Saturday. She described in detail the 25 mantras for students given by the prime minister in his book and urged them to read the book. This book will lend hand to cope the Exam-stress. During her interaction with students Sushma Swaraj mistakenly said "March me Chunav ka mausam hota hain (March is the time for elections)" and repeated the word "election" at least three times in place of "examination" - prompting the gathering to burst out in laughter. 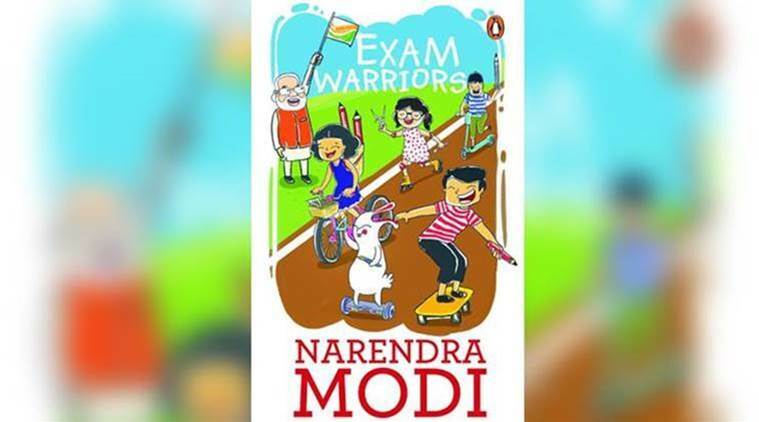 Exam Warriors, published by renowned Penguin Random House aims to boost up the confidence of students during the hard and stressful days of examination. "The students should compete with themselves and there is no need to compete with others". Union human resource development minister Prakash Javadekar said the "book will find space in each household as it connects with millions of students, teachers, parents and grandparents in a non-political way". Popular among the youths, the Prime Minister has been raising the issue of examination stress time and again and has been reflecting on the concerns of the millenials. The mantras in the book are aimed at helping students face examinations without stress apart from teaching them the importance of embracing technology, playing and presentation skills, among others. The book is integrated with the Narendra Modi Mobile App. He added that the prime minister will soon hold a dialogue with crores of school and college students on the issue of examination and how to confidently appear for tests. On July 3, 2017, when the declaration about the book was made, the news agency had called it a first-of-its-kind initiative by a serving prime minister.